Millennials are a different breed, but like it or not they’re going to make up a growing percentage of your workforce. So how do you get the best out of them? It’s predicted by 2020 that millennials will make up more than half of the global workforce, so you’d better get used to them. Smart employers will start to change their business to attract and retain the best and brightest of them. Here’s five ways you can. Two in three millennials expect to leave their current job by 2020, according to Deloitte. While millennials are prone to change jobs more quickly and seek new experiences, there are ways you make them stick around longer. Create a culture where they wouldn’t want to be anywhere else. Of course, this isn’t built overnight, it takes time – and it’s not just Friday night drinks, a table tennis table or a PlayStation in the break room. It’s about having shared ideals, a common purpose and creating an environment where employees feel valued. Millennials want an environment where they can voice their opinion and feel like they’re contributing to meaningful work. If you can strike a balance between allowing employees to show their personalities and have fun in the workplace, while achieving results, your ‘youngsters’ will be content. When it comes to feedback, millennials prefer it frequently and honestly. A regular coffee catch up where you can have a quick and frank discussion is the ideal way to carry out a performance review for a millennial. Surprisingly, when it’s comes to motivation, it’s not always about bonuses. Yes, a higher salary may keep millennials satisfied, but investing back in their skills and development is just as rewarding. You don’t need grand award ceremonies to win over millennials either. It’s about finding regular and small ways to show that you value them. Think about just shouting them a coffee, lunch, or even just telling them if they’re knocking it out of the park. They love having the option to work anytime, anywhere or be in control of their work hours. Of course this isn’t feasible for all types of businesses, so it’s about offering an arrangement that suits both parties. It could be the ability to work flexible hours, work from home or even offering the odd rostered day off. Work-life balance is a key measure of job satisfaction for millennials, so offering some degree of flexibility is a great way to makes sure they’re both satisfied and productive at work. Do you like working with somebody looking over your shoulder the whole time? Do you like driving while somebody in the back seat offers helpful advice? Probably not, and neither do millennials. They the crave autonomy to do their jobs and do them well. This doesn’t necessarily mean throwing them in the deep end when it comes to work, it means teaching them how to do something the right way and then having the trust in them to do the work. Ultimately, millennials want a mentor, not a micro-manager. 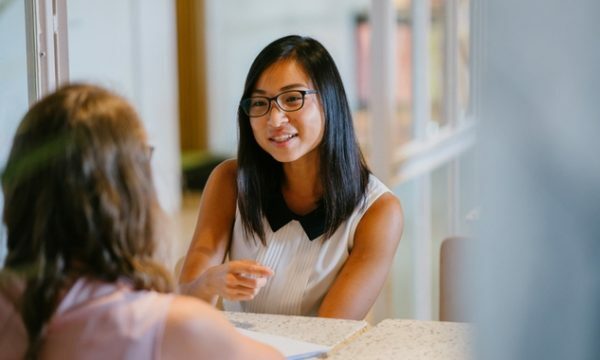 Deloitte found that 94 percent of millennials with a mentor feel that they provide ‘good advice’ and 91 percent felt that their mentor was ‘interested in their personal development’. If you can get that balance right between challenging and guiding your millennials, you’ll create a positive workplace environment. They’ll be eager to genuinely contribute – and that’s great for business. For most millennials, business should be about more than just about maximising profit. 87 percent of millennials surveyed in The Deloitte Millennial Survey 2016 believed that “the success of a business should be measured in terms of more than just its financial performance”. If you want to retain your ‘young stars’, it’s crucial to align with their values and openly communicate this. But what are they? There are five areas where millennials believe businesses’ sense of purpose should be far greater than they currently are. So, what’s your business’ purpose? If there isn’t a focus on your people, your customers or your wider community then that’s not going to go down too well with millennials. It wouldn’t hurt to include your millennials in this process, either. It turns out that millennials are deeper than their Instagram profiles would suggest, and with millennials making up more and more of your workforce it’s time you look deeper if you want to attract and retain the best of them.